By Beth Levin. By Frederic Chopin; Anders Eliasson; Robert Schumann. Classical. Listening CD. Published by Navona Records (NX.NV6016). 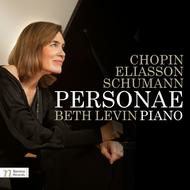 Pianist Beth Levin presents works from Frederic Chopin, Anders Eliasson, and Robert Schumann that highlight each composer's unique voice and style. 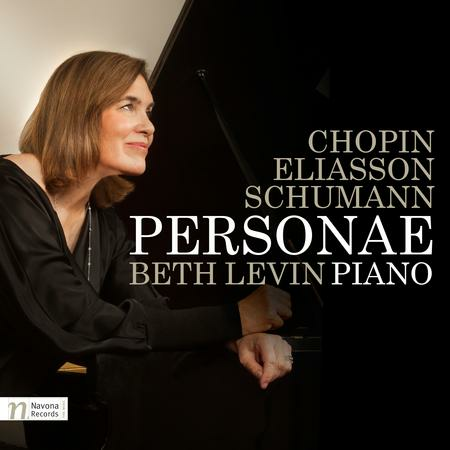 Praised by Jeremy Eichler of the New York Times for her "boldly inflected readings and impressive ability to convey emotion without exhibition," Levin animates the personalities of each composer with aplomb, passion, and elegance. Levin has appeared as a concerto soloist with numerous symphony orchestras, including the Philadelphia Orchestra, the Boston Pops Orchestra, the Boston Civic Symphony, and the Seattle Symphony Orchestra. She has worked with noted conductors such as Arthur Fiedler, Tonu Kalam, Milton Katims, Joseph Silverstein, and Benjamin Zander.